To begin with we will take a quick look at some of the critical figures and data in the energy markets this week, before establishing the key market movers and providing an analysis of the top news events in the global energy complex over the past few days. • The United States deserves much of the blame for the crash in oil prices since 2014, as shale drillers brought several million barrels per day of oil capacity online in just a few years. • Even as oil prices crashed in mid-2014, shale drillers continued to ramp up production, adding 900,000 barrels per day in 2015. However, production peaked and began to decline in the second half of the year. • Aside from the U.S., Iraq was the one of the few other countries that added production last year, adding 700,000 barrels per day. That brought Iraq’s production to 4 million barrels per day, enough to make it the second largest producer in OPEC. • The media’s talk of OPEC “waging a war” on shale isn’t really reflected in the data. 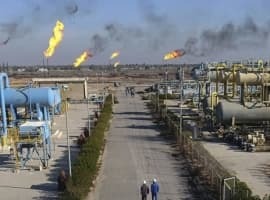 Iraq accounted for 75 percent of OPEC’s production growth in 2015, and that production comes from private international companies that had already made investments in the years leading up to the price crash. • Iraq’s production growth will slow in 2016, however, as the oil price crash hits upstream investment. • Eni (NYSE: ENI) announced that it would slash spending by another 20 percent in 2016, which follows a similarly-sized cut last year. Eni says it is cash flow neutral with oil at $50 per barrel, down from a $63 per barrel breakeven point because of efficiency gains. • EOG Resources (NYSE: EOG) announced its first annual loss in its history last week. The company, often seen as one of the stronger U.S. shale companies, reported a $4.52 billion loss in 2015. EOG will reduce spending by 45 to 50 percent in 2016 compared to last year’s levels. • Apache Corp. (NYSE: APA) reported a loss of $7.2 billion in 2015. The company will reduce spending by more than 60 percent and also expects oil and gas production to fall by 7 to 11 percent, not including its operations in Egypt. Oil prices inch up. The declines are starting to create a little bit of bullishness in the oil markets, with prices surging to the mid-$30s per barrel, up dramatically from their January lows. Investors are starting to become more confident that the worst is over. With U.S. output now solidly in decline – a trend that will likely accelerate in the months ahead as drilling slows even further – the supply glut will start to ease, albeit slowly. 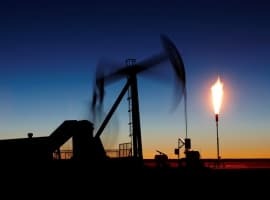 Hedge funds and other major investors are starting to reduce their short positions and take stronger net-long positions, an indication that speculators think that oil prices have bottomed out. It is not hard to imagine $40 oil just around the corner. Rail cars for oil storage. Production is slowing but storage is still at a premium. The glut in oil supply and the shrinking availability of storage is leading to the growing practice of storing oil in rail cars. The Wall Street Journal reported that delivering crude by rail is starting to decline because it is no longer profitable with oil prices down in the mid-$30s per barrel. But with rail cars sitting idle, many are starting to be used to store oil, a practice that the industry has dubbed “rolling storage.” The practice will likely remain limited on a permanent basis, however, as storing oil on railcars is subject to safety regulations, liability concerns and a need for track space. ExxonMobil’s record bond sale. ExxonMobil (NYSE: XOM) made a big move with a $12 billion bond sale, its largest on record. The world’s largest publically-traded oil company could use the cash to buy up assets on the cheap. Exxon held its cards close to the vest, saying that the proceeds would be used for “funding for working capital, acquisitions, capital expenditures, refinancing a portion of our existing commercial paper borrowings and other business opportunities.” ExxonMobil still has a AAA credit rating, one of the few companies in existence to have the highest rating possible, but S&P issued a “negative” rating in early February. Moderates gain in Iran elections. Iran held crucial parliamentary elections last Friday, and the results bolstered the moderate President Hassan Rouhani. The hard-lined faction within the Iranian government suffered big losses, despite the array of “reformist” candidates that had been disqualified from running. The election results bolster a reformist/moderate agenda within Iran, and also amount to a vote of confidence for the nuclear deal reached with the international community last year. Aside from seats in parliament, reformists also performed well in the election of the Assembly of Experts, which chooses the Supreme Leader. The Assembly of Experts is not usually closely-watched, but because Ayatollah Ali Khamenei is 76 and reportedly has had health problems in the past, the newest assembly have a decent probability of deciding the next Supreme Leader. In short, the election bodes well for a continuing thaw in relations with the West, and could also contribute to more business opportunities in Iran for international oil and gas companies. Genel Energy’s stock plunges by 40 percent. Genel Energy (LON: GENL) saw its share price crash by 40 percent on Monday after it cut its estimated recoverable reserves by half. The company focuses on oil production in Kurdistan, the semiautonomous region in northern Iraq. Genel once had huge promise because its reserves are in areas that have incredibly low production costs. However, while blessed with geological brilliance, Genel Energy’s reserves also have the unfortunate quality of being located in a politically unstable neighborhood. 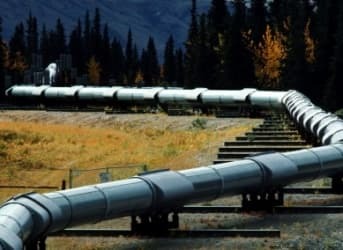 That has made finding pipeline tie-ins and exports difficult, and the company has also struggled to receive repayment from the Kurdish Regional Government. But Monday’s announcement was an exceptionally bad blow: Genel said that one of its main fields, Taq Taq, actually only has 356 million barrels in recoverable reserves instead of 683 million barrels, a painful revision that diminishes the company’s future prospects. Genel’s market cap now stands at $310 million, sharply down from a peak of $5 billion just two years ago. Saudi cash reserves fall. Saudi foreign reserves continue to dwindle as the OPEC nation tries to shore up its finances and maintain its currency peg. 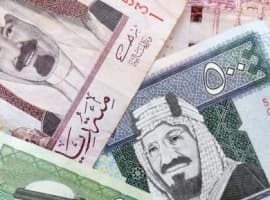 In January, Saudi Arabia’s foreign exchange dipped below $600 billion for the first time in four years, according to the latest estimates. The government is burning through cash reserves at a rate of about $14.3 billion per month.